At first glance, the words “winter road trip” may sound like an oxymoron. Isn’t it too cold, too snowy, too non-family-oriented to drive around the U.S. in December or January, when many people are huddling around a fireplace? But there’s nothing ironic about hitting the road this time of year — in fact, you can find experiences you wouldn’t find in the warmer months. Traffic can be much lighter as long as you don’t go during peak holiday times, and gas is cheaper than ever. You’ll just want to prepare better and have things like chains handy for when the road gets rough. A good, hot thermos helps too. Here, we round up a diverse array of great road-trip drives, whether you’re looking for scenery that’s snowy, dry, or nautical. Before you go, make sure to check weather forecasts and road conditions, look for closures, and of course, drive carefully. Approximate distance: 480 miles if you start in Eureka, Calif., and end up in Cannon Beach, Ore.
Why you should go: It’s actually warmer along Oregon’s coast in the winter than farther inland (though it’s still wet), making this a more hospitable drive than you might think. And the dazzling scenery here never quits in any season. What you should see: Gray whales migrate south to Mexico from mid-December through January, so if you park your car and aim your binoculars at these majestic mammals you might spot them. The state park in Depoe Bay, Ore., has a Whale Center just for this purpose. The famous Cannon Beach and its Haystack Rock get fewer visitors this time of year. And if you’re into fishing, winter is exactly the time when salmon and steelhead enter the coastal rivers. Where to stay: How to solve the problem of sampling Oregon’s legendary beer while not having to drive? Simple: stay at the Bed ’n Beer apartments directly above Rogue Ales Public House in Newport. Approximate distance: About 240 miles if you take the Interstate 15 northeast from Vegas and make a stop at Zion National Park – and why not do that? Why you should go: Utah’s national parks are colder in the winter, but the hoodoo rock formations of Bryce Canyon look spectacular any time of year. What you should see: You’ll need some of nature’s cleansing after starting your trip in Sin City, and you’ll get it as you drive up from the Vegas desert to the sandstone cliffs of Zion, and farther up to Bryce’s 8,000-foot elevation. Go during the week of New Year’s and you could go snowshoeing at Zion with REI. As you hit Bryce, drive the 18-mile scenic stretch of Main Park Road, which takes you to the park’s highest elevation, Rainbow Point (9,100 feet). Where to stay: This will be the first year you can spend a winter night in Bryce Canyon National Park, thanks to a pilot program at the 90-year-old Lodge at Bryce Canyon. Why you should go: This snowy trip offers some real adventure, but it’s not a daredevil journey like the “Ice Road Truckers” drive from Fairbanks. Your destination is quirky and welcoming: Talkeetna was the model for Cicely, Alaska in the TV show Northern Exposure. What you should see: Fuel up on food and gas in Anchorage (four-wheel drive is recommended) and drive slowly up the highway from there. For dog-sledding or cross-country skiing you could stop at Nancy Lake State Recreation Area, or for cultural history take a tour through Eklutna Historical Park with its native and Russian Orthodox heritage. If you’re in Talkeetna during the weekend of December 4, look out for the Bachelor Auction and Wilderness Woman Contest fundraisers. And just maybe, you’ll be able to spot the Northern Lights from there. Where to stay: The Talkeetna Roadhouse, which will prepare you for the cold with big breakfasts and hot soup. Wilmington, Vt., to Stowe, Vt.
Why you should go: This drive is famous in the fall for its foliage, but during the winter it retains its small-town charm while adding winter-sports opportunities, all with fewer crowds. What you should see: As you begin you’ll be gaze to the west in wonder at Green Mountain National Forest. Near Wilmington you can go skiing at nearby Mount Snow. During the drive you’ll definitely want to stop in Weston, with its Vermont Country Store. Moss Glen Falls in Granville is an Instagrammer favorite, and just before you hit Stowe, warm up with some delicious hot cider at Cold Hollow Cider Mill in Waterbury Center. Where to stay: The Pitcher Inn in Warren is just three miles from Sugarbush Ski Resort. Los Angeles to Death Valley National Park, Calif. Approximate Distance: 290 miles one way on Interstate 15 and State Highway 127. 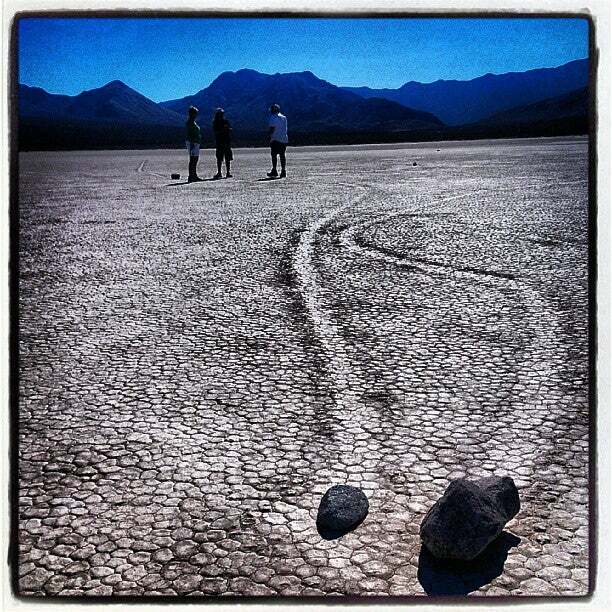 Why you should go: Death Valley is often associated with, well, death and hot weather. But I had one of my favorite all-time road trips when I went there in November, and you can likewise find hospitable temperatures here in the winter – think highs in the 70s and lows in the high 30s (yup, it gets cold here, especially at higher altitudes). What you should see: Now is the time to do the hiking, biking, and other outdoor activities that would endanger your life in the summer here. Telescope Peak (the park’s high point at over 11,000 feet) is a favorite ascent here, or if you want to get really low, hang out at Badwater Basin, the lowest point in North America at 282 feet below sea level – also where the hottest temperature ever was recorded (134 degrees). Enjoy the majestic views from the Mesquite Flat Sand Dunes, see multicolored rocks on Artist’s Drive, and tour the many ghost towns in and around the park. Where to stay: Campers can pitch a tent at Stovepipe Wells; or if you prefer a roof over your head, stay at the Inn at Furnace Creek Resort. Asheville, N.C., to Gatlinburg, Tenn.
Why you should go: In just 100 miles you get a lot of value: two states, the city sights of Asheville, wintry mountain views, America’s most visited park without the crowds, and skiing in the South. What you should see: Start the journey by touring the massive Biltmore Estate in Asheville, pass Cherokee, N.C., at the southern end of the Blue Ridge Parkway (take a detour there if the road is open), and enter Great Smoky Mountains. 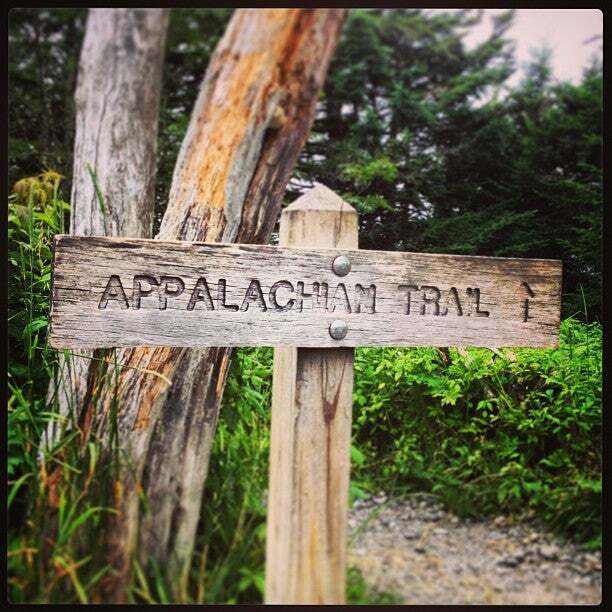 Consider a hike down the Appalachian Trail, or gaze in awe at the frosty scenery. Top it off by going skiing or snow tubing at Ober Gatlinburg. Where to stay: Great Cabins in the Smokies offers a variety of vacation rentals just outside Gatlinburg. Chicago to Peninsula State Park, Wisc. Approximate distance: 275 miles taking the I-43 up the western coast of Lake Michigan, then Wisconsin Highway 57. Why you should go: You get the big-city pleasures of Chicago, the small-town charms of Northern Door County, Wisc., and the great frosty outdoors of Peninsula State Park, which is open for camping in the winter. A frozen Lake Michigan can be a beautiful sight to see, even with the lake-effect snow. If history is any guide, this year’s El Niño could make it a warmer winter than usual. What you should see: Take in an improv show or check out the indoor Winter Wonderfest at Navy Pier in Chicago. Then dress warm and begin the drive north, stopping in Milwaukee for a hearty meal of cheese curds, bratwurst, and beer. As you enter Door County, stop at its capital, Sturgeon Bay to tour the local shops. At Peninsula State Park, go cross-country skiing, snowshoeing, or ice fishing. Where to stay: You can’t go wrong with a bed-and-breakfast in Sturgeon Bay – options include Scofield House Bed & Breakfast and the Foxglove Inn. Approximate distance: 250 miles if you take the clockwise loop from San Antonio through Bandera, Kerrville, Fredericksburg, Enchanted Rock State Natural Area, Johnson City, New Braunfels, and back to San Antonio. Why you should go: Texas has a reputation for being flat and sprawling, but on this drive you’ll be treated to elevations over 2,000 feet, scenic valleys, live oak trees, rivers, and more. The weather is mild with highs around the 60s, and with each town you visit there’s plenty of local flavor, from the food to the German heritage. What you should see: Drive here during the December nights and you’ll be guided by the Texas Hill Country Regional Christmas Lighting Trail. Stop in Bandera for some real cowboy culture, gorge on German foods and beer in Fredericksburg, learn about our 36th president at the Lyndon B. Johnson National Historical Park in Johnson City, and go bouldering at Enchanted Rock, with its 425-foot pink granite dome. Where to stay: While in New Braunfels, bed down at the Gruene Mansion Inn, set in an 1872 Victorian-style house by the Guadalupe River.